Highly sensitive people carry a light, beautiful energy, but it is foremost in those who acquire dark, heavy energies during their childhoods. As adults, they tend to struggle with that energy. In this article, I try to explain what causes this to happen and what they can do about it. We start our lives on Earth as a little baby. In this early stage, there is no awareness of a “me”, for everything is “me”, everything belongs to “me”. A newborn has yet to discover what belongs to the inner world and what to the outer. All kinds of things are experienced, and this includes the fears and rigid beliefs of the parents and the surrounding culture and society. The newborn's consciousness is like a very open field. Then a phase follows in which this field starts contracting upon itself. The child starts to develop a consciousness of what is “me” and what is not “me”. When it comes to the physical aspect this is clear: everything that can hurt or be moved belongs to the body, the rest does not. But when it comes to the inner world, the difference is not at all that clear. What a child feels and thinks is still, to a large extent, influenced by what the people around it feel and think. 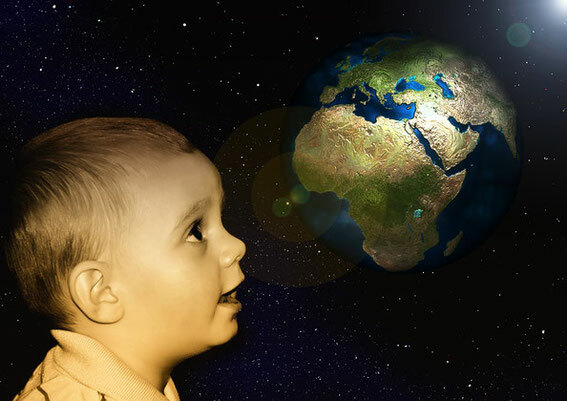 Hence, during this period of contraction of consciousness, many old fears and ideas are absorbed from the child’s surroundings, and they become part of the energy field of the child. Eventually, a boundary is set between the outer world and the inner world. The personality comes into existence: a mixture of old, earthly energies and the person's own higher soul energy. Therefore, our personality is a barrel full of contradictions. We experience opposing impulses and inner tensions, and thereafter, we struggle to relieve these tensions. An inner struggle will arise between the old, what we have absorbed, and the new, what we are here to bring; thus, between dark and light. But struggle is not a solution and will, eventually, merely heighten the inner tension. Old fears and ideas can not be conquered through struggle. The old can not be defeated or suppressed; it can only be freed by our inner light, love, and understanding. What are those old beliefs and fears that we unwillingly absorb as children and that contravene our souls’ impulses? What I have discovered in my practice is that much of this emanates from our fear-based religions, which depict humankind as bad and sinful. Having fun and enjoying oneself are looked upon as being sinful. Only working hard, seriousness, and being humble are accepted. Idleness is the devil’s workshop. It is more blessed to give than to receive. One can not expect much more from life than working hard and forgoing pleasure. Sexuality should be suppressed If you do not follow a set of prescribed rules, you will go to hell. These rules include things such as membership in a certain church, performing rituals, wearing acceptable clothing, etc. In short, all kinds of rules that put us into a box, into a mental prison. But human beings, especially children, are not able to entirely suppress their spontaneous nature and will still do things they enjoy. However, the pressure of the rules becomes internalised and breaking them causes feelings of guilt. One starts condemning himself for who one naturally is. The originally cheerful and spontaneous child becomes a gloomy, hard-working adult who feels that enjoying life is sinful and who feels constant guilt. In short, children are taught to feel guilty because of who they are. The above may seem to refer to the past more than to modern times. The power of churches has decreased and the churches that are left generally preach a less stern dogma. The thought that people who are members of another church – or worse, even atheists who are doomed to end up in hell – is slowly being let go. Another change is that, currently, more and more people manage to hold on to some of the energy of their origin, their soul's energy. How different it is to be in that other atmosphere where we always experience a natural, unconditional love. Luckily, because of this type of person, the world is changing. If you take, for example, the way children are raised nowadays, more and more is the child respected for the way it is. It was only a century ago that a child was looked upon as something that needed discipline and molding. In our current era, it is easier to stay loyal to our deepest impulses and feelings. In my practice I have noticed something paradoxical. It is mostly highly sensitive people with a naturally gentle and light energy that carry very old, dark energies within them. It is mostly those persons who are filled with feelings of inferiority and guilt. Though they have a natural desire to connect themselves with the atmosphere of the heart and the spirit, they are burdened by heavy feelings of unworthiness and anxiety. What causes this? Because these children want to help their parents so intensely, they do not give themselves the opportunity to have a real childhood. Once they start bearing their parents' burden, they are no longer really children. And because they do not have the opportunity to have real childhoods, their original energies, which are usually very loving and cheerful, will not be able to ground properly. Therefore, it is mostly sensitive, spiritually minded people whose adult lives have turned into a struggle with old fears and a sense of guilt. When, as adults, they get in touch with their inner child, they seldom see a cheerful and carefree child. Often, it is hidden in a corner of a dark room, entirely neglected. If we can not enjoy childhood as a child, because we have taken too much responsibility upon ourselves, in our later life we will end up with a damaged inner child and a poor ability to ground. We need a healthy inner child in order to enjoy life. It is the source of our happiness, joy, and light-heartedness, and of our ability to experience wonder and genuine appreciation of the simple things in life. If you watch children playing, you can observe how naturally and unrestrainedly they are able to enjoy life and how they lose themselves in the moment. Often, we think the loss of those abilities is a natural result of growing up, but that is not true: it is the result of the suppression of our inner child. In order to free the child within ourselves, we have to target the old feelings of guilt inherited from our parents. This sense of guilt remains in our system like a dark cloud, even in those people who are not raised with religion. Many people, including atheists, have somehow the impression that they are bad and sinful, and that the future has nothing good in store for them. Moralizing is all around us. We all carry the burden of the past. Our culture is called a culture of guilt for that reason. We are human beings, therefore we make many mistakes. And, somehow, we always feel guilty about that due to the “programming” of our culture. So how can we cope with these feelings of guilt? Doing this is especially important for highly sensitive people who have taken on the heavy energies of sin and unworthiness deeply into their energy fields. How can we release these old fear-based patterns in order to free ourselves from them? The main thing to realize is that feelings of guilt are always transferred upon us by people who are suffering from the same guilt feelings, mostly one or both of our parents. By helping our parents, we help ourselves. But in this case, it is not the purpose to change our "outer parents", even if they are still alive. On the contrary, we should try to accept our parents as they are. What this is called for is to transform our "inner parents", the parents from our childhood who are still alive within ourselves where they are suppressing our inner child with their old, heavy energies. If I ask my client: “Who is this person who tells you that you are not doing things right, or that you are not good enough?” They usually see the face of one of their parents popping up into their mind. Now explore what influence the energy of your parents has had on your life and on your body. Which thoughts have you adopted from your father, your mother, or both? Which commandments, interdictions, which fears? Where has this blocked your energy and caused certain parts of your body to cramp or go numb? 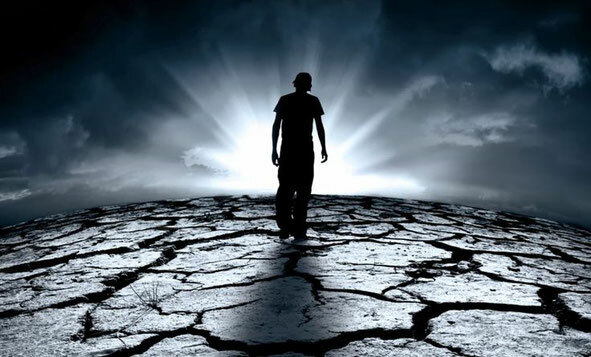 Then deep within yourself, you see one of your parents standing there as a source of negative and heavy energies. Sense that, if you manage to change that parent deep within yourself, you will give yourself a new root, a root that nourishes you with love instead of instilling fear. A space will arise within yourself for your inner child where it can be free to play. By doing this, you will finally have a positive effect on your “outer parents”. You will vibrate a different energy toward them and this will have a positive influence on them. So how do you change the parents within yourself? Try the following method: Imagine, you feel your father's energy behind the inner voice that tells you that you are not doing things right, or that you have all kinds of duties to fulfill. Go back to the past and imagine your father as a little boy. What kind of boy is he? What are his dreams, his fears? Sense how he is being influenced by his parents' fears, the heavy energies from the time in which he was born. Then realize, in the inner world, there is no such thing as time. Approach your father-as-a-boy. Now you are the parent, the teacher, and your father is the child. Cuddle him, give him your unconditional love and encourage him. Tell him he is good, just the way he is, and help him to release his fears and loneliness. You become aware of his sense of guilt and see clearly that they are not justified. Now make contact with the atmosphere of unconditional love that is originally both his and yours – this is the source of healing. Let energy from this atmosphere of unconditional love flow toward your father and show him that energy. Then do the same thing with your mother. After doing this, return to your inner child. Realise that time belongs to the outer world: in the inner world there is just the eternal now. The child you once were is still present as your inner child. See how this child is doing. Once you have freed yourself from the old, heavy energies of your parents, your inner child can be a child again and enjoy life. Ask the child what it wants, listen to it, and give it the opportunity and space to play and to enjoy life. Go do things together that the child enjoys. If you repeat this exercise on a regular base, your inner father and mother start to change within yourself, they become more youthful, freer, and more loving, and your inner child gets the space to live, to be a child again. I found a relevant citation in the diaries of the German writer, Ernst Junger. He writes on March 1, 1944, in his diary: “Life is an ongoing procreation. During our lifecycle, we try to reunite the father and the mother within ourselves. That is our true job, which both our inner conflicts and our successes arise from. This is followed by our new birth.” Our physical body has arisen from the physical union of our parents. Energetically, we carry both our parents within us. Their energies have a profound influence on our own male and female energies. Therefore, disharmony between our parents usually results in a bad relationship between our inner woman and our inner man. But if we free our inner parents – heal and bring them into the light of our love – they then will reunite spiritually within us: the union of our inner man and our inner woman. This union will result in our second birth, our spiritual birth. This second birth is nothing less than the freeing of our inner child so as to let it entirely into our lives. Only then can we be truly present on Earth with our entire soul.